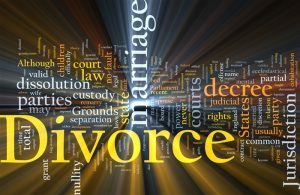 I came across a nice synopsis of why mediation for your divorce may be the smartest choice. It is safe to say that most couples facing divorce expect the experience to be agonizing as well as exhausting. Ending a marriage, and the ensuing divorce, is one of the most emotional events of a lifetime. Since couples anticipate a difficult time, many wish they could find an easier path and if this sounds like your situation, then divorce mediation may be your best solution. • May benefit children: When kids of divorce see their parents work together to resolve conflicts, it often helps them feel more secure about the breakup. • More affordable: In nearly all cases, divorce mediation imposes fewer costs than traditional litigation. Mediation may also proceed faster than a courtroom divorce. • Reduces anxiety: The idea of going to court causes many couples to feel anxious. An out of court solution helps to reduce these feelings of anxiety. Divorce mediation does not work for everyone, so it is crucial to seek a legal opinion to determine if you and your spouse are good candidates. In the end, anything you can do to make the process of divorcing as easy as possible for you and your children, it is worth the effort. Call the office with any questions you’d like to talk over. With just less than half of married partners ending in divorce, therapists over time have developed some suggestions for making the process possibly less painful for everyone. You will see from these suggestions why PeaceTalks always makes sure a therapist is available for both parties for every session. You can see a thread with these ideas that reinforces the principle that this is between the two of you and nobody else. It’s always a great thing when a couple gets helpful advice but one of the primary benefits of Divorce Mediation is the fact that you are in control. Once the decision is made the announcement should be as simple, heartfelt, and brief as possible. The reaction might seem to call for an explanation but it’s best to let things play out before getting into the “why’s” and “how’s” of your relationship and its new direction. Unsolicited advice will be one of the first reactions you encounter and remember it’s not your job to justify your decisions or to act upon a loved one’s advice. You can always be grateful but non-committal as you navigate through the well intentioned and the misinformed. In getting to a mutually agreeable divorce settlement we make progress, literally, by getting couples to communicate with each other. Many couples find it difficult to communicate. Our therapist mediator will provide tools to better communication and can also facilitate a “difficult conversation.”Communication is an interactive process, and text messages can be a great way to stay in contact, but too much can be lost in tone for real communication. At the Peace Talks table we establish a neutral ground for couples to exchange their points of view and identify the goals of their mediation. The questions and answers are the bricks for the foundation of the settlement agreement but not all of the work gets done at the table. Throughout the process and even after the final decree couples have to deal with a lot of decisions that require cooperation. We set the tone in our mediations that reinforces the idea that a problem needs to be addressed early especially when someone is in distress. When a person is having difficulty simply asking, “How can I help?” can be a way to start. If you only reach out when something is wrong and don’t balance that with positive conversations, it will be difficult to communicate in a healthy way. Call just to share some good news. Sharing positive moments can make a difference. This is a process that you are learning to manage and listening to each other can make things much easier for everybody.Your family can benefit from conversations that are open, and respectful and your relationships will improve as your family learns to feel more at ease. If you have questions about Mediation please call the office and we will have a chat about your situation. The answer is yes for most people. The majority of couples we see at PeaceTalks have enough common goals to negotiate an amicable and equitable settlement agreement. Since most people will listen to a neutral third-party guide in more constructive ways, PeaceTalks’ lawyers team with therapists and financial advisors to help navigate some tough decisions for a quicker, peaceful settlement. Here’s an example of the logic involved as part of why mediation is worth a try for most situations. I asked my wife for a divorce six months ago. I don’t want a big fight, but we do have kids, and different incomes, so I understand there are some complexities. She hired a lawyer but also wants to hire a mediator and have the lawyers review things when we agree. This seems like wasted money to me. Why hire both? Mediation is always worth trying, provided there is no real power imbalance in the relationship. The process saves money, and brings you both to the table to talk about difficult things. Couples find a jointsolution, setting a precedentfor future disputes that might arise involving the children. The mediator’s job is to help you reach an agreement. Most, if not all mediators recommend hiring counsel for advice during mediation. It is not overly expensive, and your lawyer will make sure you understand your rights and obligations so you are educated going into the mediation. It is easier to reach an agreement when you understand the law and expected norms. Wendy O. Hickey has since 1994 been involved in and since 2003 been a trial lawyer who concentrates her practice on national and international family law. Here’s a couple more tips from the article I saw by Oren Kaufmann on the Mediate.com website. Don’t be penny wise and pound-foolish. Imagine the following not so unusual scenario. You have resolved all the tough issues and for some reason these one or two remain “as a matter of principle“. It makes no sense financially to terminate mediation and turn it over to lawyers because you cannot resolve these issues. The financial and emotional costs are likely to be very high. Unfortunately, despite these dangers, I see people doing this repeatedly (or at least contemplating it). Remember that arguing over “principle” can be a very dangerous and expensive proposition costing what otherwise could have been investment “principal.”The ultimate agreement should be based on a rational financial analysis. The problem and challenge is that this isn’t just a business deal. There are multiple layers of emotions involved. If it is emotionally based- i.e. revenge, guilt, anger, fear- there will inevitably be problems down the road. The PeaceTalks mediation sessions are always supported by whatever type of financial and psychological professionals the couple might request as most of the difficult negotiations center around assets and income accompanied by anger. Having someone you trust that you can talk about this with is critical. It may be that you talk with one person about the financial and one person about the emotional. Remember to careful about not confusing support and a good sounding board with nonsense based on some incorrect legal information/advice they received from a relative or friend. That aside, having someone with whom you can discuss the process is invaluable and PeaceTalks can refer therapists. Oran Kaufman-runs Amherst Mediation Services in Amherst, MA and he is a former president of the Massachusetts Council on Family Mediation. 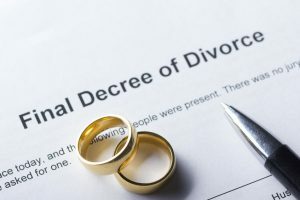 There are a lot of commonalities with divorce and lessons from shared experiences can be extremely helpful when going through extremely stressful situations like divorce negotiations. Some great suggestions were offered by a mediation expert named Oran Kaufman in a series of articles for Mediate.com and I wanted to pass along these very cogent, and insightful pieces of advice to all, and to all a good night. Give yourself all the time that you need, as hurried decisions are often bad decisions. Maybe you’re contemplating selling a house, buying a house, or which school will your children attend and so on. These are decisions the impact of which will be felt for a long time so take the time necessary to consider all the consequences. Do your research. Consult with your lawyer, friends, accountants or anyone else who you trust to give you a rational perspective. From the moment the decision is made to engage in mediation with PeaceTalks we start to help the couple form a plan that includes delineating all assets and the decision-based issues that require negotiation. Whenever necessary we provide access to a choice of legal, financial and emotional support professionals, all veterans of the divorce mediation process. If you are already in court and you feel rushed by the court process, almost any judge I know will gladly give you more time and continue a pre-trial conference or status conference if the judge knows that you are actively engaged in mediation and the additional time will help reach an agreement. The courts have been very supportive of the growing role that mediation is playing in settling divorce cases and we are very grateful for the cooperation that judges have extended to our clients, particularly this year with the crazy packed court calendars. If you get worried about making the December 31St deadline call the office for possible help with your filing. Divorce is an anxiety producing process. It is particularly important during this process that you take care of yourself. By that I mean, take care of the basics: get sleep, eat, try and have some fun and exercise. All those things that are important when life is “normal” are doubly important when you are going through the stress of divorce. PeaceTalks by location has nearby parks for walking, yoga, or just some quiet time before and/or after sitting down with us to get you closer to your settlement agreement. We also have health professionals for tips on diet and special types of exercise developed expressly for stress. All those things that are important when life is “normal” are doubly important when you are going through the stress of divorce. As the commercial says “I’m not a tax advisor and I didn’t stay at a Holiday Inn Express last night…” but a piece by Dan Caplinger from The Motley Fool might have a useful idea for your situation. There’s a link at the end to the whole article. Tax strategies is something that PeaceTalks always has addressed by at least one, if not more, professionals in all of mediation cases to ensure that both parties are able to optimize their assets after the settlement is reached. There’s one big change that won’t hit taxpayers until the beginning of 2019. It won’t affect everyone, but for the many people in the U.S. who are divorced, changes in how alimony payments get taxed could have a huge financial impact, given the roughly $10 billion in such payments that get made every year. With divorces running between roughly 800,000 and 950,000 annually since 2000, there are millions of people who might be able to benefit from some last-minute tax planning — if they can cooperate effectively. What the tax law did was to change this treatment starting in 2019. For those who get divorced in 2019 or later, all payments between divorced spouses will be treated identically. There’ll be no tax impact from any payment, meaning that the receiving spouse won’t have to include payments as income, and the paying spouse won’t get to deduct anything. That’s a whole lot simpler, and it solves some potential fraud issues. But it does remove a planning opportunity for divorced spouses who are willing to work with each other. In particular, there are two situations in which it’ll be important for couples to act before the end of 2018. First, if you’re in the process of divorcing, the timing of the final divorce agreement will be crucial. Specify alimony payments and get divorced on or before Dec. 31, and you’ll have the option to effectively transfer taxable income from a spouse in a higher tax bracket to one in a lower tax bracket, saving on taxes overall. That in turn can make it possible for the paying spouse to make larger payments while still ending up ahead on an after-tax basis. On the other hand, if you wait until Jan. 1 to get divorced, that option won’t be available any longer. 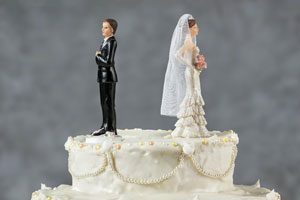 Second, if you’re already divorced but the original agreement didn’t include an order for spousal support, the law is ambiguous about how a subsequent order would get treated. Those who already have a spousal support order by the end of 2018 can retain the current-law tax treatment even if that order is modified in or after 2019. But there’s at least some risk that a request for a first-time spousal support order would be treated as first having occurred in 2019 or later, taking away the option of having old-law tax treatment. Finally, the new law does give divorced spouses who would prefer the new tax treatment to govern their pre-2019 divorce the option of agreeing to adopt the new rules. That’s not necessarily a time-critical issue, as this election can be made at any time. But if circumstances have changed and it makes sense to treat payments between divorced spouses as having no tax impact, it may be that the sooner you do so, the better. As always, if you or a friend is in danger of missing the December 31st deadline, call the office and we’ll see if we have any available resources in our network that might help. “The most common misconception that I hear about divorce mediation it that it is onlysuitable for couples that are very amicable.In fact, mediation is also very well suited for helping high-conflict couples work through their differences and reach a reasonable solution. It may be true that the couple is too emotional to sit down alone, so they work with their mediator, a neutral third party, trained to help them focus on the issues at hand and work together towards a resolution. At PeaceTalks we team with a lawyer for the legal information, a financial forensicto work through and optimize the asset division, and a therapistto help manage the emotional stress that comes with high conflict cases. Legal advice is going to be a necessary part of the process; the mediator does notreplace review and input from a lawyer. All Mediators suggest using consulting lawyers at certain points during the process to enforce their third-party status. Because the mediator must remain neutral, they cannot give either party advice specific to their individual best interests. Here, a consulting attorney, on a limited, as-needed basis, can provide that specific legal advice to help a party decide how to best move forward in the negotiations.When a draft Separation Agreement is prepared, it is advisable that both parties review that agreement with their own attorney before they sign it. The use of a consulting attorney will cost far less than full-scale divorce litigation representation and is well worth the expense to ensure that both parties are fully advised and supported. PeaceTalks has a network of attorneys that we rely on whenever a client has a particular need for a specific resource. For people screening referrals they have received to mediation services some questions are best dealt with at the very beginning of the process. Even couples that may have already made a choice often benefit from getting some issues settled before the start of actual preparation and negotiation. PeaceTalks does not charge for an initial session. We think of it as an opportunity for the clients to feel sure they will be comfortable with us as the mediator and for PeaceTalks to make sure that the case is appropriate for the mediation services we offer. Most mediation cases are finalized within six months. There are different schedules reflecting the number of issues involved, mainly custody and support especially when there are children involved. After sitting and talking for about forty-five minutes we can usually project a likely outside completion date. How much will it cost? Is a retainer involved or installments? We will be able to narrow down a cost for you at our initial meeting and PeaceTalks has found that a lot of potential clients are struggling financially. Many clients come to us already in debt and now having two households is an additional burden. We find that having clients pay as they go helps to keep them in control of the cost. When you’re ready to talk give us a call and we’ll find a convenient time for the rest of your questions. Peace Talks, by definition, gives people the opportunity to talk about everything that is relevant to reaching an amicable agreement. This applies, as well, to all the legal advisors that come to our mediation table. We get to listen to the perspective of the lawyer in many different types of divorce situations representing a wide range of individual styles. Many of these lawyers have shared personal “secrets” about advice they offer, and techniques they employ, that help ensure the best results for a client. If anything you see provokes a question about your situation please contact the office to find a time to talk that is mutually convenient. “It’s going to cost more money”. More often than not, the costs will often be higher than your lawyer’s original estimate. Contested divorces cost anywhere from $15,000 to $30,000, which is the primary reason for the suggestion of mediation. While it is dispiriting, to “downsize” it’s better totemporarily cut corners in your lifestyle than miss opportunities in getting a faster, favorable outcome. “Lawyer fees may be negotiable.” This doesn’t mean an attorney will always be willing to lower their fees, but for mediation cases there is usually a different fee schedule. “If your divorce is uncontested, then you may be able to perform several parts of it on your own.” This means that you and your spouse agree on child custody, spousal support, child support, visitation, and division of property. This would be the ideal circumstance for mediation. “You may still decide to retain an attorney, but their role will be limited to the navigation of court procedures.” The mediation team handles the paperwork to save time and money. “An initial retainer fee does not equate to the actual cost of handling a divorce matter”. It is only an advance on work undertaken by the attorney and does not represent the thirty thousand dollar threshold reached by most divorce cases. One secret your divorce lawyer doesn’t want you to know is that it is extremely beneficial to have multiple consultations. As with all partnerships it has to be a good fit and you have to sit down with someone to decide that for yourself. 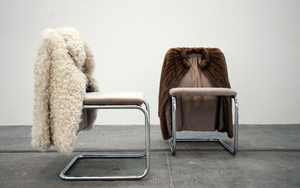 We have introduced many clients to people they eventually selected for representation. Here are a few of the questions that come up most often when people are their evaluating their options in relation to the divorce process. If you have some questions about your own situation please contact the office anytime. If you use a mediation service the court will be provided with what is known as a stipulated judgment, and you never have to appear before a judge. At Peace Talks we use a service to hand deliver all court paperwork to the court. Does Divorce Mean We Have to Sell the House(s) or Can We Still Own Property Together? In mediation the parties are free to decide between themselves how they wish to dispose of marital assets. Parties who were once married can continue to own property together as single people. Just the same way that people who were never married can own property together as “partners”. In mediation we will discuss how to continue to co-own. How Much Dpousal Support Do I Get? Spousal support is not based on a formula. Spousal support is the result of the careful weighing of the factors set forth in family code §4320. What happens in mediation is that the parties negotiate together so that in light of the applicable resources, income/expenses and needs, a workable, mutually agreeable, solution is arrived at. At Peace Talks we use divorce financial planning software to help you optimize your financial situation. Can We Provide for Shared Custody of Our Pets? Yes, although courts of law are traditionally reluctant to get involved in “custody battles” involving animals, parties in mediation are free to make any agreements they choose and that agreement will become the order of the court. Divorce isn’t a failure, therapists say. In fact, it could mean the marriage was a success. The overwhelming feeling of failureis almost impossible to avoid when divorce becomes a reality. We see this even in mediation where both parties are in agreement and it is, of course, worse for those in long litigations. The difficulties that accompany this feeling can lead to more uncertainty in making important valuations and decisions during the process. This interview with Hal Runkel, a marriage and family therapist, makes some excellent points about shaping a positive viewpoint on the situation. What makes mediation different is the choice to “take control” of the process instead of leaving it up to a third party. Marriage will expose your selfishness. What sometimes happens is that one or both partners change so drastically that they come to the realization that their marriage isn’t helping them live the life they want. Making a mature decision in that direction may be the best outcome of all. These two terms are being tossed around a lot as people prepare to meet the December 31st deadline for divorce related paperwork and try to avoid going to court. 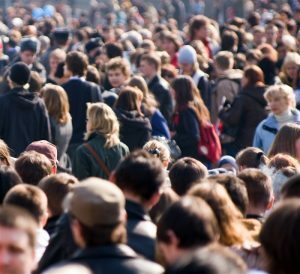 I’ve left a link to an article by Armita Azad from Mediate.com that gives a clear, concise look at the differences between the two from the participants’ point of view. “MediatioIn and arbitration play a role in resolving disputes outside of the court. These methods of conflict resolution are tailored to the trend of judicial relief and assist parties into resolving disputes according to the party’s needs. They take in account personal or business priorities and interests that no court judgement is able of addressing. In arbitration, a judge and jury decides the merits of the case based on the law and facts that may lead to one sided results; and has become more adversarial in the sense that the parties are obliged to proceed with both their lawyers and a third-party decision maker that will impose the judgement. Of all the issues that come up with co-parenting “families of divorce” none are as insidious or downright ugly as “matters of money”. Having attained status as a C.F.P. over the years, I witnessed some of the acrimony the author describes and she is, unfortunately, not exaggerating. The end of the year will often be an important “plumb line” for decisions about finances and investment assets, in particular. So with the changes to Alimony Payments along with some other adjustments in the Tax Code there might be a few unpleasant surprises that warrant discussion and, as the author points out, a lawyer’s office may not facilitate thebest overall result. If you, or anyone you know, comes into a situation like this and help might be needed please contact me with your questions. Here is the link to an article by Carolyn Rosenblatt in which she advises F.A.’s to consider a mediator if and when they come up against a real struggle. 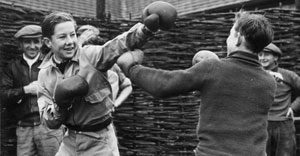 What Can Advisors Do When Family Disputes Threaten Client Wealth? Mediation can be an effective way to reach agreements. Sometimes it’s fighting between parents and the next generation. Sometimes it’s sibling conflictsthat have existed for many years. Unresolved family disputes can destroy successful intergenerational wealth transfer with or without a family business at stake. When you’re managing the money, it can feel like torture seeing your clients behave so destructively. Expensive lawsuits or standoffs that damage businesses the family is arguing aboutcan threaten the very work you’ve done over time. You’ve tried to preserve wealth and keep families on track. They can ruin your best efforts. Mediation is one underutilized way to resolve conflicts. You may be able to help your clients by suggesting mediation and finding a good mediator. It starts with the help of a trained and qualified mediator who understands conflict resolution principles as a professional. The purpose isn’t to change any individual’s personal traits; rather, it’s to see if the family can come to some rules of engagement on the path to reaching agreements on specific issues. Focus isn’t on who’s right or wrong. It’s on the tasks at hand. Reaching an agreement about division of authority can be a major step forward. 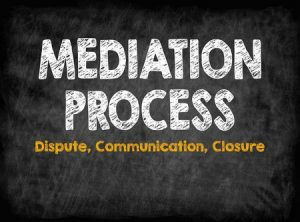 Based on my own experience over many years of being an advocate at mediation in lawsuits, I saw that most of the time, matters get settled by the mediation process. Perhaps the greatest benefit of a family mediation is that the underlying emotions that typically drive the conflict can come to the surface in a neutral setting. The mediator guides the discussion and helps each party identify and clarify what they want, guiding them to their own solutions. Generally, this isn’t something they can do on their own. They’re too caught up in resentment, anger, fear or other feelings. Will “Calendar Crush” Push “Hybrid Settlement”? 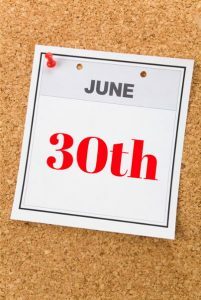 If you are getting a divorce before the end of 2018 you should be aware of the 30th of June as the final day to file your paperwork. Lawyers, despite the bad jokes, are just like the rest of us when it comes to “time in the sun” and their personal calendars will reflect that proclivity through the Labor Day holiday. I’ve been talking with some lawyers and mediators about contingency plans for improvising a way to help address what might become a scheduling nightmare in the months ahead. Hiring independent judges has been the traditional strategy for litigators to turn to in times of overwhelming demand for their time but that might not be the best choice for the client. The factors of time and cost, in this specific application, might open the door for mediation to replace “independent adjudication” as a matter of “the greater benefit” to the client. Because mediation can usually be more efficient as a process it would be possible to save time and money without interfering with the relationship between the client and the lawyer. If scheduling and the calendar become “speed bumps” for you in terms of making the December 31 deadline please ask your legal advisor to consider contacting a mediator about a faster and possibly less expensive solution. Posted on June 1, 2018 June 13, 2018 Author StephanieCategories cost of divorceTags Divorce, Divorce Mediation, settlementLeave a comment on Will “Calendar Crush” Push “Hybrid Settlement”? It’s an old advertising ploy used by promoters for everything from cigarettes to soap; postulating, “If so many other people are doing it how can they all be wrong?” The simple answer is they were sold out – literally. Mr. Zuckerberg has stepped up in a somewhat delayed timeline to acknowledge that like the captain of a ship he is responsible for whatever happens with his vessel. He will now face a barrage of questions in D.C. to explain the massive borrowing of personal data by Cambridge Analytica for the purposes of obfuscating information related to the candidates in the 2016 elections. Facebook gives away its services in return for our data. If you’re not familiar with “Bedazzled” you still might recognize the “made a deal with the Devil” dynamic and what your soul is really worth. I admit that it never occurred to me that 50% of us rely on Facebook for news about the country and the planet, not just vacation videos. So if we thought that we were getting a free ride with our friends and family “pics & clicks” we were wrong. There are any number health professionals suggesting that we find, no make, the time to unplug for a while every day. It might not be a bad idea to show the kids what it’s like to get an actual letter in the mail-no the other one-with a stamp and their name on it-and it can’t be hacked. The new tax legislation will necessitate adjustments for many people dealing with alimony payments-both paying and receiving. When you start to factor in things like tuition and college debt you get a sense of where your strategy needs to shift in order to maintain sufficient protection for your assets. 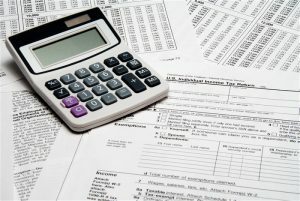 Your tax advisor is going to be swamped with requests from people worried about the deductions they have relied upon for some real relief before April 15Th. You can get a head start by assembling whatever (receipts etc.) you posses as well as your various investment and interest 1099’s and charitable contributions. The more you can do before the tax appointment is more time the accountant can take to make certain you get all the deductions you are entitled to receive. You may even need to change your W-2 status to match the new money dynamics of the altered tax structure. If you do need to make some changes it might maximize the process to do it as soon as possible. We’ve worked with some great advisors if you need some referrals. No divorce process is completely stress free, but if you choose mediation to settle your divorce case, you could save on time, stress, and money. 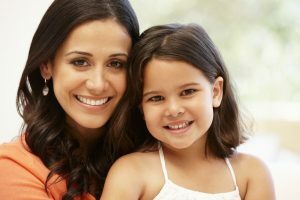 While divorce mediation is not as common as traditional divorce litigation, there are many advantages to choosing divorce mediation that can benefit you, your spouse and your children. What is mediation, and how is it different from typical divorce through the court system? Mediation divorce is the most cost effective way to manage divorce proceedings. The divorcing couple meets with a mediator — a third-person party acts as a go-between to resolve difficult custody, property matters and financial matters. Through mediation, the couple has the opportunity to decide the final terms and outcomes of the divorce in a peaceful manner that benefits both parties. 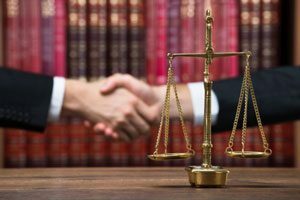 In many cases it’s best to choose a mediator who has experience in family law and who can make sure that all legal issues are resolved, so an attorney who specializes in mediation is a logical choice. Divorce mediation is significantly less expensive than going through a messy ugly hearing with a judge. Divorce mediation allows you to work on your time schedule instead of being forced to work on the city’s time with scheduled hearings. Divorce mediation gives both parties more flexibility because you can honestly discuss the terms of your parenting plan to ensure that your children are well cared for. Divorce mediation is more humane and peaceful because the mediation sessions normally take place in a conference room instead of in a courtroom with multiple people around. Divorce mediation is confidential and the discussions in divorce mediation do not become a part of public record. Divorce mediation helps couples develop a communication plan that enables you to effectively communicate with each other post-divorce if children are involved. The most significant difference, however, is that mediated divorces are not subject to arbitration. You and your estranged spouse make the final agreement, and you are not bound by the word or a judge or similar arbiter. Mediation is the method that helps you to create the ideal post-divorce scenario for your family. Traditional divorce proceedings involve litigation and court proceedings. Some more complex cases go to full trial. Traditional divorce takes longer, and it can be significantly more expensive. A straightforward mediation costs as low as $10,000 and can go up depending on your assets and the number of children involved. Meanwhile, traditional divorces, complete with court fees, retainers, motions, and discoveries, can cost as much as $40,000 for just basic litigation and uncontested rulings. For many couples, mediation is sufficient for the needs of the family. To understand how divorce mediation works and if this is a good fit for you and your spouse, call Peace-Talks Mediation at (310) 301-2100.